This is a loose study of a painting by JOHAN BARTHOLD JONGKIND (Netherlands/French, 1819-1891) titled SUNSET OVER THE CANAL. 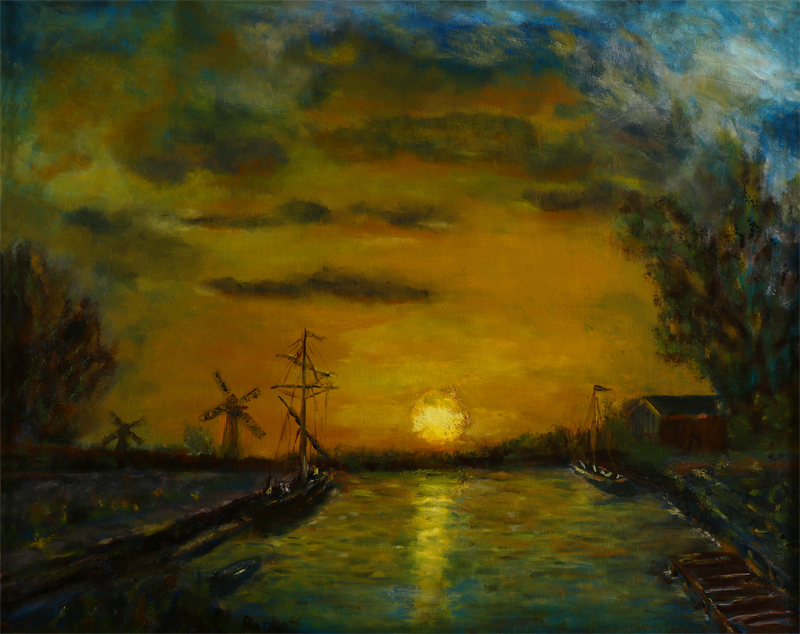 Oil on panel scene looking down a canal with moored boats on each side leading to a setting sun with a colorful sky. Tall trees and windmills flank the scene. This painting sold at auction for $25,000. My wife liked it, so I made a study for her.